The Port of Melbourne is Australia’s busiest container and automotive port. Large ships come from all around the world to pick up and drop off everyday items like clothing, sporting goods, cars, fruit and grain. Many of the items you use or consume every day are made or grown in locations around the world. Most of these products arrive at the Port of Melbourne on ships. even the clothes we wear. What comes through the Port of Melbourne? Let's take a look at the items that travel through the Port of Melbourne. Items that are carried on ships are called cargo. Containers are large steel boxes used to carry items such as electronic goods, fruit, clothes and furniture. They are the main type of cargo passing through the Port of Melbourne. 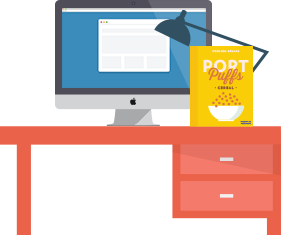 Containers come in two sizes. They are either 6 metres or 12 metres long (20 feet or 40 feet). Some containers are refrigerated to keep items cold. There are also open top containers for larger items. All kinds of weird and wonderful cargo travel in containers. In September 2011, a young giraffe arrived at the Port of Melbourne from Auckland, in an open top container, following a four day journey from New Zealand. While working as a truck driver in America, Malcolm McLean, came up with the idea of containers as a quicker way to load and unload trucks at each port. Before containers were invented in 1956, items were removed from trucks one by one, and then lifted onto ships. Containers allowed truck drivers to put the entire contents of their truck onto ships in one quick movement. The Port of Melbourne has been handling containers since the 1960s. Breakbulk is any large or odd shaped cargo that does not usually fit in a container. Cars are our major type of breakbulk trade. Other breakbulk items include steel, logs and large vehicles such as trains and trams. The Port of Melbourne is Australia's largest automotive port, handling over 1000 cars a day. Using ramps, cars can drive straight on and off special ships called Ro/Ro’s short for ‘Roll on, Roll off’. Drybulk cargoes are loose dry products which are handled in large amounts. 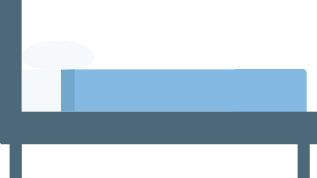 This cargo is not put into a container but is poured directly into the storage sections of a ship. 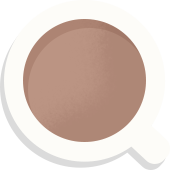 Dry bulk imports include cement, sugar and gypsum. Drybulk exports include grains like wheat, canola, barley and rice. Melbourne is a growing city. Much of the cement needed to build the bridges and buildings for the city’s development is unloaded at the Port of Melbourne. Liquid bulk cargoes are large volumes of liquids which are carried in special ships known as tankers. Examples include petrol, crude oil and chemicals. If you have ever travelled by plane to or from Melbourne, it is very likely that the plane's fuel was unloaded at the Port of Melbourne. There is a direct pipeline to transport aircraft fuel directly from the Port of Melbourne to Melbourne Airport. 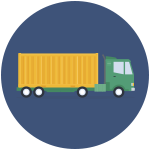 Now that we know about different types of cargo, let’s take a look at how it comes and goes. Cargo must pass through many steps as it travels around the world. These steps are called the 'supply chain'. In Melbourne, the supply chain creates tens of thousands of jobs. 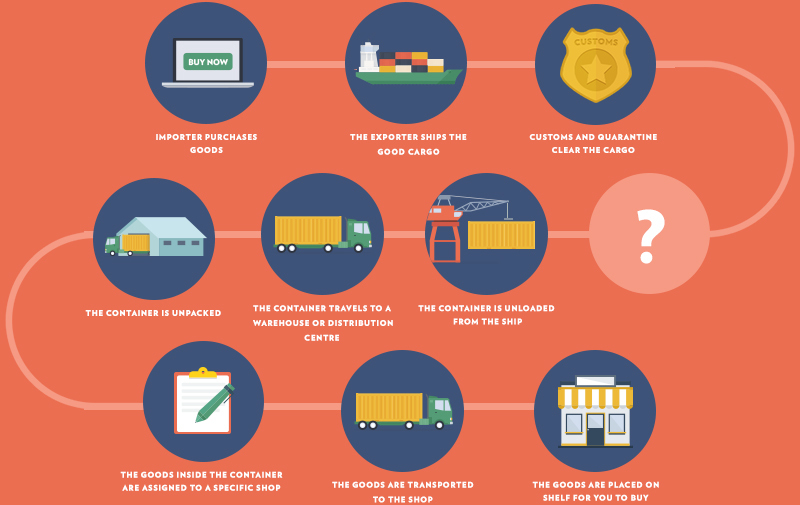 Click on each picture to the right to learn more about each step in the import and export supply chain. The exporter ships the goods (cargo), using the steps outlined in the export supply chain. Customs and quarantine clear the cargo. The ship arrives at the Port of Melbourne. The container is unloaded from the ship. The container travels to a warehouse or distribution centre. The goods inside the container are assigned to a specific shop. The goods are transported to the shop. The goods are placed on the shelf for you to buy. The exporter books space on a ship. The exporter books an empty container. The empty container is picked up from a container park. The empty container is taken to a warehouse. The empty container is packed with the cargo. The full container is taken to the Port of Melbourne. The container is placed in a queue, depending on its weight and final destination. The container is loaded onto a ship. A pilot is an experienced sea captain who knows how to navigate the waters in and around the Port of Melbourne. All large commercial ships travelling to and from the Port of Melbourne must have a pilot on board. 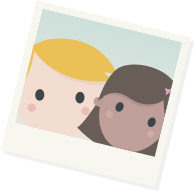 When a ship arrives, the pilot travels in a small boat to the Pilot Boarding Ground. A ladder is then lowered from the visiting ship to allow the pilot to climb on board. When a ship is leaving, the pilot climbs down the ladder to get off the visiting ship. This also happens at the Pilot Boarding Ground. Shipping channels are like roads for ships. South Channel is the main shipping channel in southern Port Phillip Bay. An area of Port Phillip Bay used by ships which is naturally deep and leads directly to the Port of Melbourne. A navigational marker in the south-east of Port Phillip Bay where ships make a turn. This is like a parking area for ships. Ships can stay here while they wait to enter the port. The home of Australia's largest and busiest container and automotive port. The two pieces of land (Point Nepean and Point Lonsdale) which mark the entrance to Port Phillip Bay. The Rip is an area of water between the Heads which is well known for strong swells and currents. 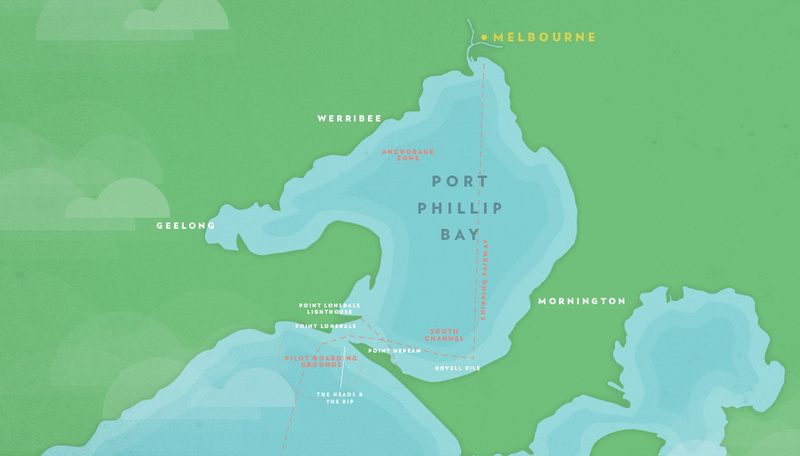 It links the open ocean with Port Phillip Bay and is the only way for ships to get to and from the Port of Melbourne. Handles liquid bulk products such as crude oil. Handles cars and other breakbulk cargo. Port of Melbourne's newest international container terminal. Cargo travelling to and from Tasmania is handled in this area. Cars will be inspected and have custom fittings added before going to car dealerships. This is Victoria's cruise shipping hub and the arrival and departure point for the Spirit of Tasmania. 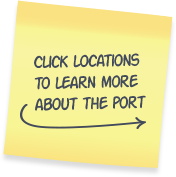 All shipping movements to and from the port are coordinated from here. 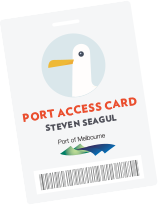 This is a special facility where school and community groups can learn more about the Port of Melbourne. This river wharf handles breakbulk and dry bulk cargoes. These powerful boats guide large vessels to the wharf, especially in high winds. This is a warehouse facility where goods are prepared for transport. This is where much of the Port of Melbourne's wheat and grain exports are loaded, together with breakbulk cargo including cars. This man-made section of the Yarra River was completed in 1886 to improve access for ships. Divided into 2 terminals (East and West), this is Australia's busiest international container facility. A liquid bulk berth which handles refined petroleum products. Handles liquid bulk products such as canola oil, vegetable oil and molasses used in food manufacturing. The Port of Melbourne connects us to the world. Cargo travels to or from almost every country through the Port of Melbourne. 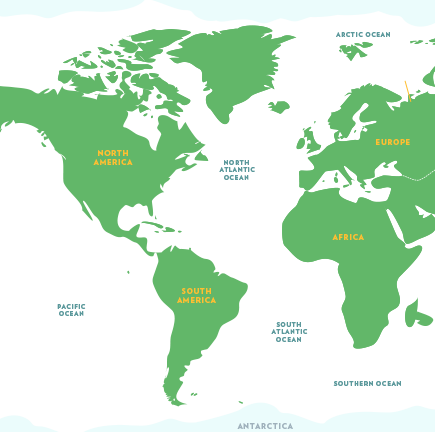 Click the regions on the map, to learn about other international ports and the items we trade with them. Melbourne is the busiest container port in Australia handling over 2.5 million containers a year. Around 25 shipping lines call at the Port of Melbourne. China is the Port of Melbourne's biggest trading partner for import and export containers. 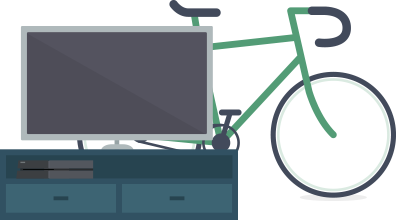 Major imports are furniture, electronics and clothing. Major exports are waste paper, cereal grains and timber. China has 7 of the world's top 10 container ports. Shanghai is the biggest container port in the world handling over 33 million containers a year. Most cars imported through the Port of Melbourne come from Japan, like Toyota, Nissan, Honda, Mazda & Mitsubishi. Some of the goods that we export to Japan are meat, stockfeed and dairy products. New Zealand is one of the Port of Melbourne's major trading partners for import and export containers. Major imports are paper and fibre board, fruit, vegetables and dairy products. Major exports are different types of paper and fibre board, cereal grains and timber.  It takes 4 days for a ship to travel from Melbourne to New Zealand. Rotterdam in the Netherlands is the largest port in Europe handling around 12 million containers a year. Barcelona is the biggest port in Europe for cruise ships. Germany is a major European exporter of cars including many famous luxury brands like Mercedes, Audi, BMW & Volkswagen. The United States is a close trading partner of the Port of Melbourne for containerised and breakbulk cargo. 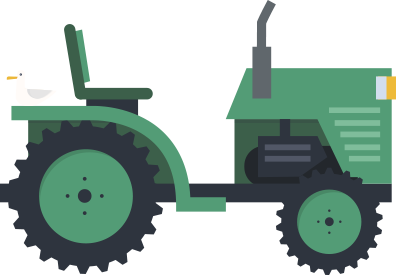 Major imports are cars, machinery, fruit and vegetables. Major exports are beverages, meat and newspaper and print. Los Angeles is the largest container port in the United States. Ships from Melbourne take around 3 weeks to travel to Los Angeles. Miami is the biggest port in the world for cruise ships, handling over 4 million passengers a year. Much of the petrol that travels through the Port of Melbourne arrives from Singapore. It takes around 2 weeks for a ship to travel from Melbourne to Singapore. Singapore is home to the world's largest transhipment port. 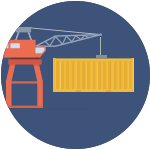 Transhipment is when cargo from all over the world is delivered then redistributed onto different ships. This happens in Singapore because of its central location on major international shipping routes. Much of the coffee imported through the Port of Melbourne comes from Brazil. Some of the world's fastest growing container ports are in Latin America and South America. Ships can travel through the Panama Canal which links the Atlantic and Pacific oceans to reduce travel time. Most crude oil imports through the Port of Melbourne come from Gabon in Africa. While most of our sugar comes from Queensland, around 10% is imported from South Africa. Now you have learnt all about international trade, types of cargo and the important role that the Port of Melbourne plays in our everyday lives. 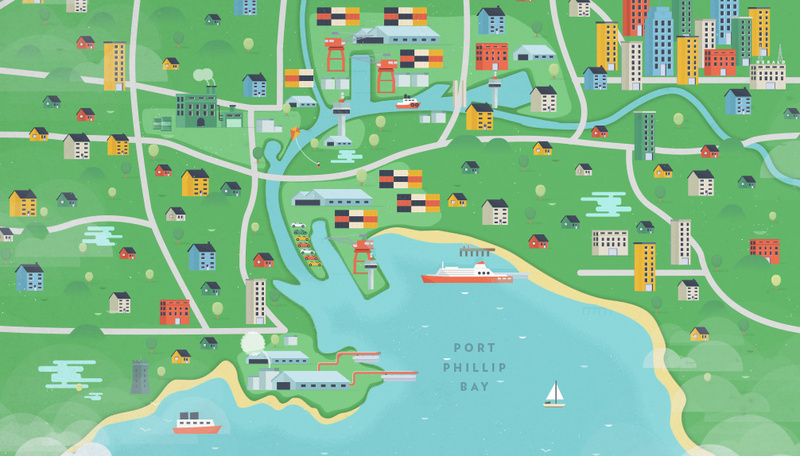 Our port supports our standard of living, generates jobs and keeps us connected to global trade. 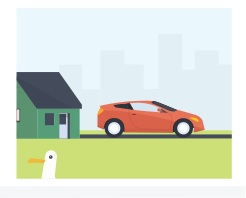 Click below to test your knowledge. 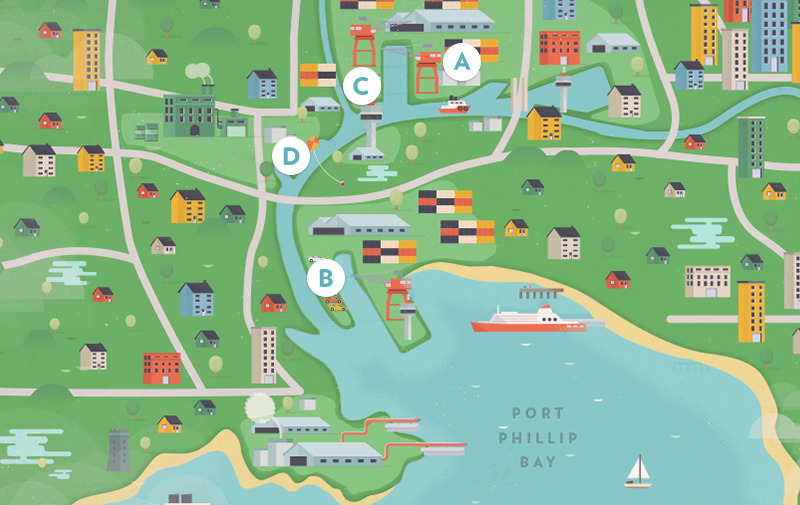 What is the Port of Melbourne's main type of trade? 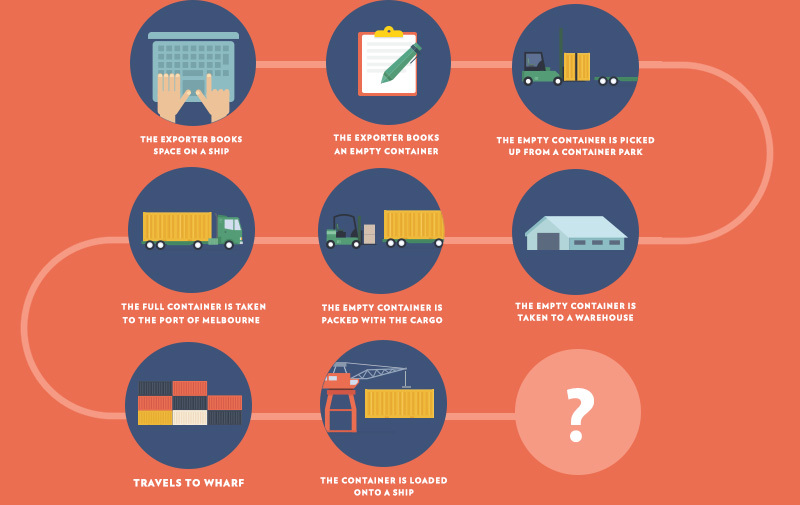 Which list below contains only items that can travel in Containers? What is Port of Melbourne's main breakbulk item? Which of the following items could travel as liquid bulk cargo? What is the definition of dry bulk? Which statement below is the missing step from this import supply chain? 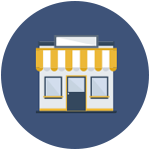 What is the final step of the export supply chain? What is the anchorage zone? What is a sea pilot? a An experienced sea captain who helps guide ships into the Port of Melbourne b An aeroplane pilot who boards a ship	 c A navigational marker in the south-east of Port Phillip Bay where ships make a turn. Where on the mapdoes the Port of Melbourne handle liquid bulk? 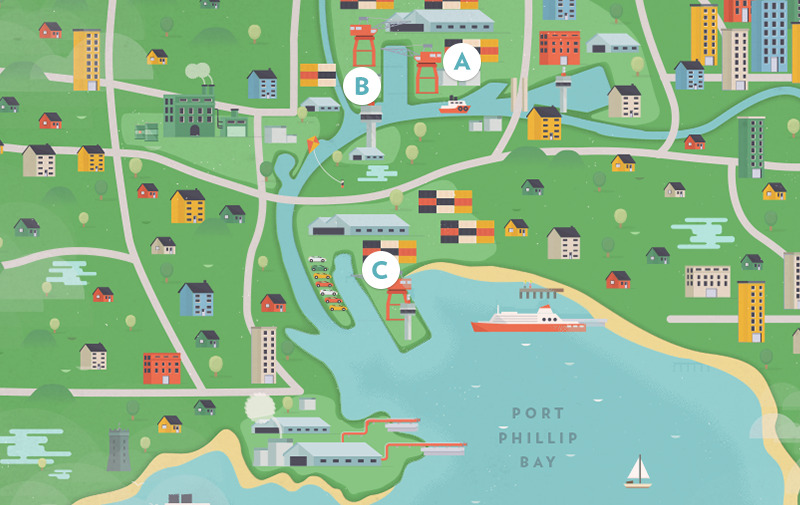 Locate where Tasmanian trade is handled within the Port of Melbourne. 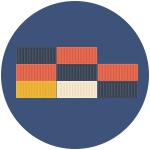 Which country is the Port of Melbourne’s biggest trading partner for import and export containers? Where is the world’s largest transhipment port? Where in the world does the Port of Melbourne receive most of its car imports from? Which following item is a major export through the Port of Melbourne? What is the missing step? Well done. You have learnt all about international trade,types of cargo and the important role that the Port of Melbourne plays in our everyday lives.